Why does legal timber matter? 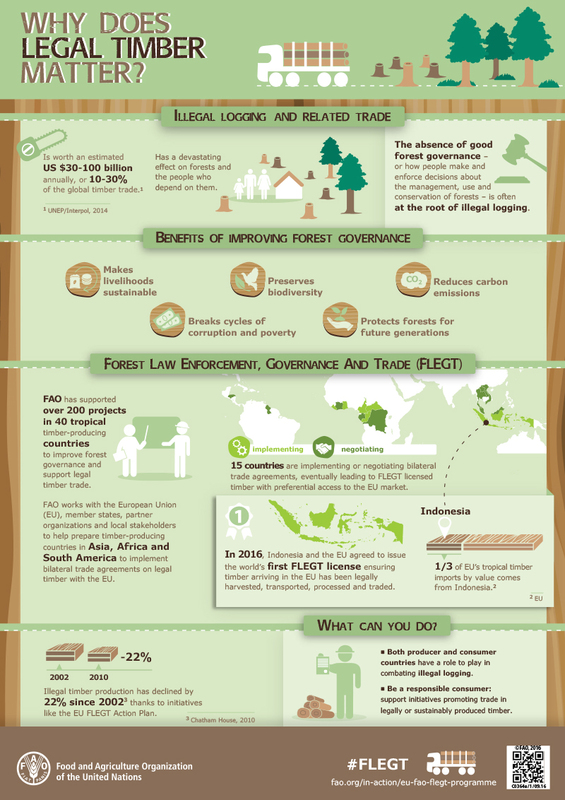 The FAO FLEGT Programme has supported over 200 projects in 40 tropical timber-producing countries to improve forest governance and support legal timber trade. FAO works with the European Union (EU), member states, partner organizations and local stakeholders to help prepare timber-producing countries in Asia, Africa and South America to implement bilateral trade agreeements on legal timber with the EU.